"Pilikan (pronounced: Bill-ee-gun) is the Mi’kmaq First Nations word for “New House” and the name represents a new way of thinking about healthy, sustainable residential development in a way that respects the environment by minimizing ongoing impact with consideration for how buildings evolve to meet users’ needs." 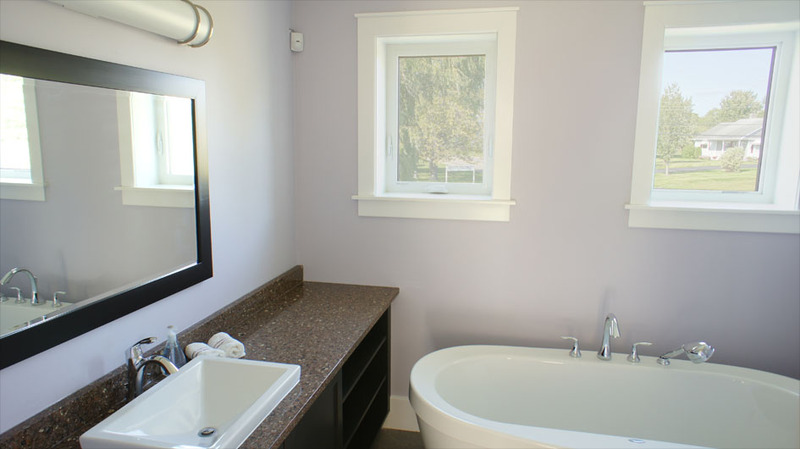 This was the mission statement under which Solterre was chosen by Nova Scotia Community College to design and manage the construction of this green demonstration home. 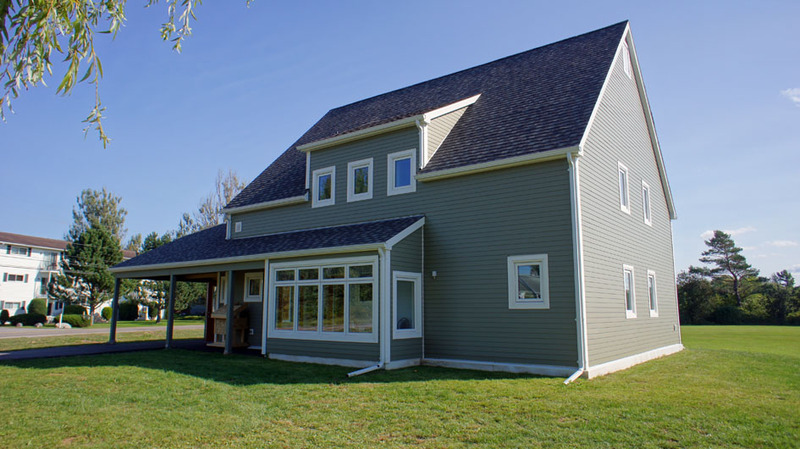 The house is intended as a "living lab" for students of the Energy Sustainability Engineering Technology at the NSCC Middleton Campus. Through Pilikan, students are able to get hands on experience in the emerging green technology field in a building designed to the the best green building and energy efficiency standards available. Multiple heating and renewable energy systems were installed in order for students to test and monitor these systems in a real life setting. 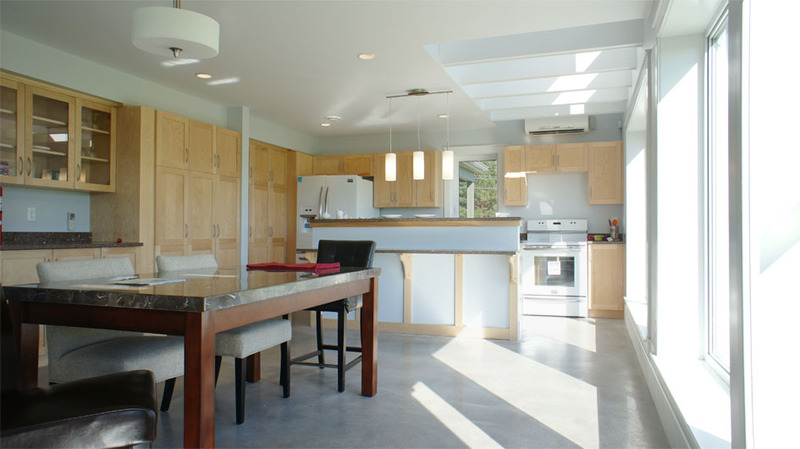 The design team and NSCC decided that the home should demonstrate accessible 'aging in place' principals, comfortable living in a small footprint and that this should be accomplished using established, affordable construction techniques. 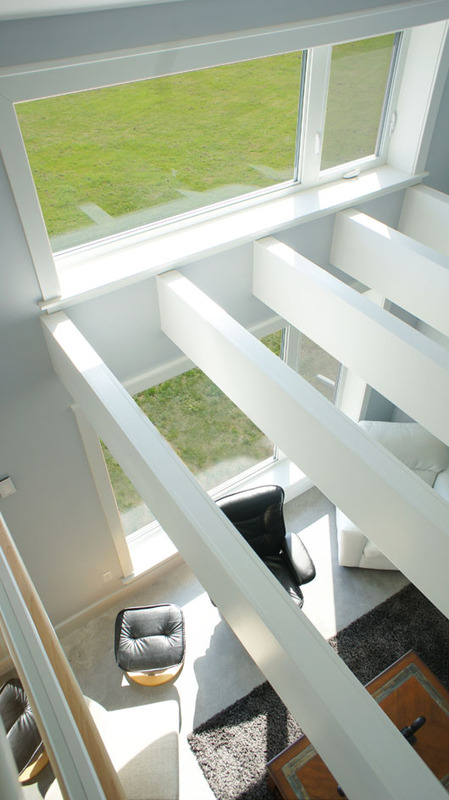 Open concept living spaces and maximizing daylight and loft space give this compact home an spacious open feel. The project achieved an 'Energuide' rating of 90 with a target energy reduction of 50% over conventional construction. Building forms common to the area were used to demonstrate how accessible this new standard of home can be accessible to anyone. The house was built with a insulated slab on grade, double stud wall and a deep scissor truss. Insulation values were double typical construction and air tightness reached the 'Passive House' constraint of 0.6 air changes at 50 Pascals. The design also took full advantage of passive solar and ventilation. Pilikan allowed Solterre to bring to bear the full breadth of our space efficient, green design and technology experience.